There are 420,000 people living in Oakland and District 1 has at least 14,912 pre-1978 housing units where at least 37,280 people are living inside homes with a high probably of containing lead paint. These people - occupants and owners - need to be made aware of the potential threat inside their housing so they can take care of it as soon as possible. 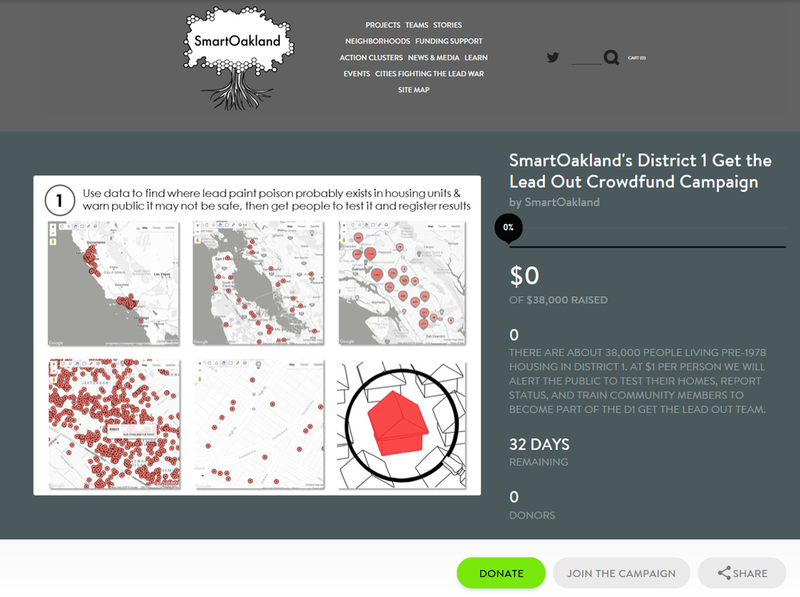 We’re crowdfunding money to kick off a GTLO campaign to protect District 1 that includes outreach, predictive data to find lead, a Project Manager to run and report status, and stipends to pay community members to join and lead micro-community project teams. Your money will provide predictive data visualizations of at-risk-for-lead-poison housing locations, integrated with Google Maps, for District 1 constituents to review locations on phones, laptops, or in print to see which places should be checked out. As people report findings we’ll learn which locations require scientific testing, clean up funds, and contractors so we can help facilitate remediation of lead from our homes, soil, dust and air. There is no agency reporting housing maintenance, like when a unit has been repainted, so some locations we’ve identified could be OK and some could be worse than we predict.